One of the Oldest Continuing Fairs! At the Fair Society’s organization meeting Edward P. Livingston of Clermont, was elected as the inaugural president. Charter Vice Presidents included: Dr. John P. Beekman of Kinderhook: Erastus Pratt, Austerlitz: Oliver Wiswall, Greenport, and Leonard Ten Broeck, Livingston. For seven classes of competition for horses, premium totaled $144.00: six classes for “Cattle cows” the premiums were $84.00: four classes for swine, $40.00: three classes for sheep, $30.00: one class each for cheese-$10.00, oxen-$18.00, hogs-$12.00and butter-$14.00. Classes for manufactures took in satinett, flannel, linen and silk and involved premiums amounting to a total of $57.00. For best plough the Fair offered $15.00. In 1852 the startling pronouncement is written: “For the first time the Columbia county Fair will be held in Chatham Four Corners, on September 29 and 30.” Minutes for the 1853 annual meeting disclose that the receipts amounted to $369.90, disbursements, $357.00, bank balance, $12.90. The Society’s first really big move came in 1856 when it purchased from a man identified only as Mr. Bullis, “15 acres of land in the village Chatham Four Corners, for $175.00 per acre. ” Total investment-$2625.00″. A condition that took nearly 125 years to reverse was settled on the Society in 1859; indebtedness, to the extent of $3,300. 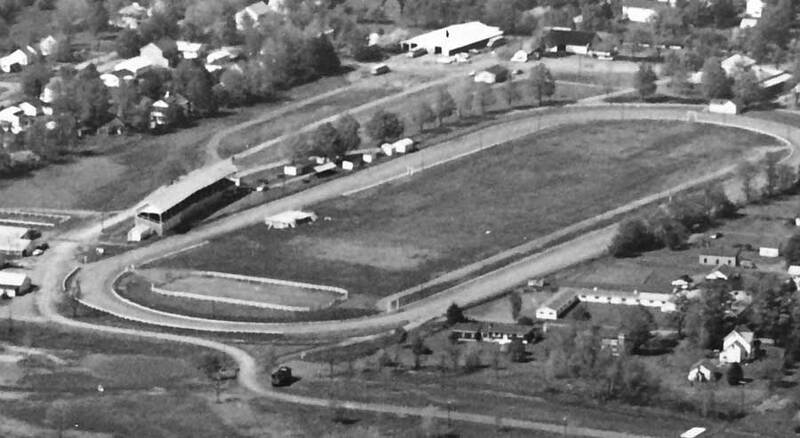 The purchase of the original 15-acre Chatham Fairgrounds undoubtedly was responsible to a large degree. And still more in 1859:”the president was named of one to procure 100 posts and see to the setting of same for the accommodation of the exhibitors at the Fair. ” Presumably hitching posts”. The treasurer’s report at the 1861 annual meeting put income for 1860 at $1.201.36, but expenditures at $1,214.59 for a net loss of $13.23. This marks the only occasion on which a loss is recorded to date of The Columbia County Fair operation. Perhaps one of the most important decisions of any Fair Board came at a special meeting on April 6, 1871, when “a motion was made and carried that there report of the Committee on Trees be accepted and that the Committee purchase $60.00 worth of shade trees and have them set out about the ‘grounds.” This foresighted action unquestionably is responsible for the comfort of shade on the Chatham Fairgrounds, an ingredient which sets Chatham apart from many other county fairs. 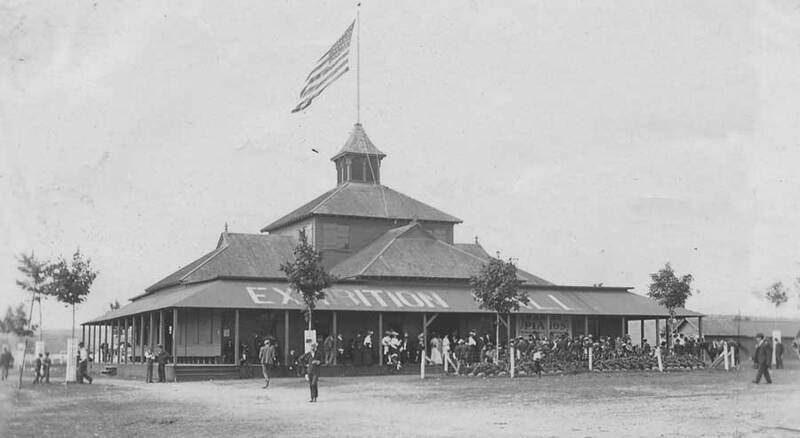 In 1881 the erection of a grandstand was authorized, And while it is carefully chronicled that” admittance to the grandstand is to be 15 cents, good for one day,’ nowhere do they tell us the cost of the structure. The next year the erection of a poultry house was approved, and later the same year approval was given for the construction of “suitable quarters for the stabling of horses during the Fairs. It may be of some interest that in 1893 the Fair board appointed 34 vice presidents, perhaps one for each county voting district. But of no greater significance is the fact that the list included the name of Samuel J. Tilden of New Lebanon. This is the son of the famous “Barnburner” in the Free-Soil Movement, who missed being President of the United States by one electoral vote. It seems worthy of note that the secretarial career launched at a controversial election in 1906 ended 61 years later with the death of William A. Dardess. Also worthy of note is that at the 1889 annual election John P. Mickle who had been prominent in the Chatham Fair picture for many years, passed the baton to his son, John D. Mickle, who was elected to the Board of Managers in 1900 and served the Fair with distinction for half-a-century, until his son, Philip D. Mickle came on board in 1951, he served as Fair director, president and treasurer for more than a quarter-century, bringing the combined Mickle service to practically 100 years. 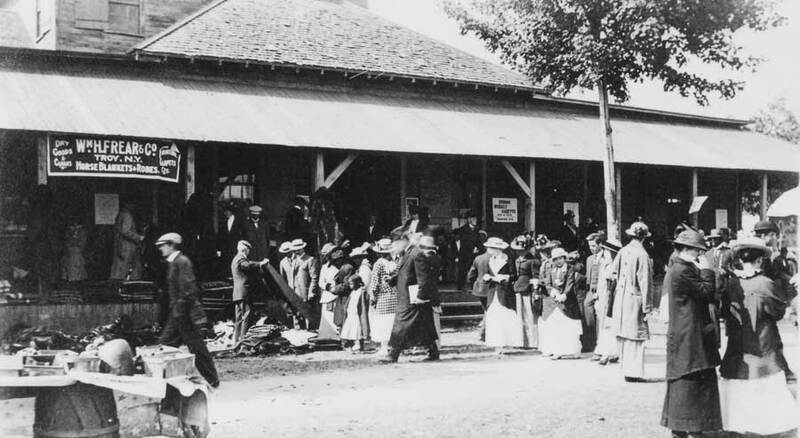 It was in 1884 that authorization came for the election of a new building for horticultural and domestic purposes, “at a cost not to exceed $2,000.00.” The new exhibition hall was finished the same year at a total cost recorded as $1,676.03. There is little doubt that this new Fairhouse is our present one, now, well over 100 years old. On numerous occasions vandals have tried to set fire to the historic old structured but thus far it has withstood the vengeance of wind, lightning and the torch of the would be fire bug. Another glaring contrast between the economy of 1888 and now is found in the notation that “the building committee has let a contract to Alfred Hunt to furnish materials and build an octagon building for $267.00. This is the same Octagon Building that stands today and currently houses the ‘Golda Combs’ Quilt Contest. 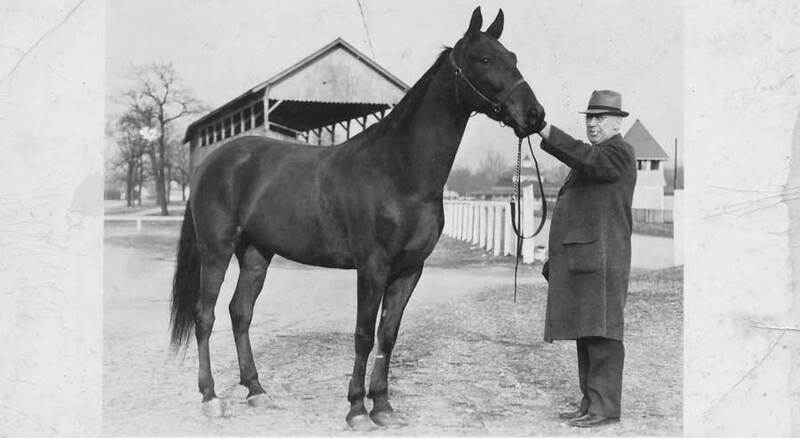 It likely will interest some that the 1909 race program featured a 2:23 pace and trot for Columbia County horses with the ‘purse” being 50 bushels of oats. A like premium was offered in the 2:30 class. 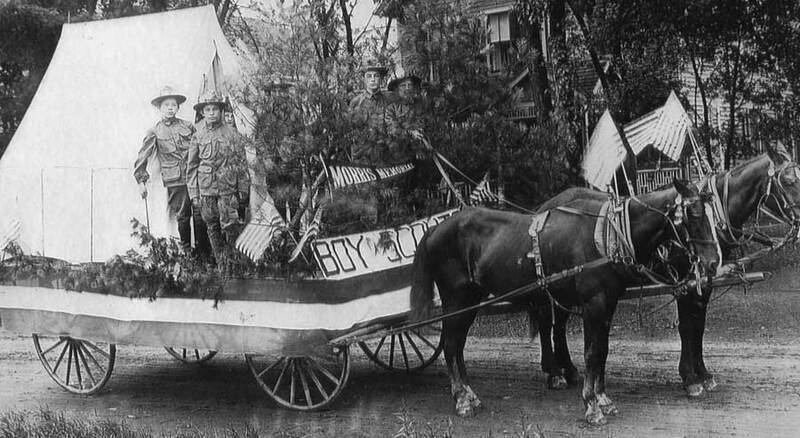 If you were to read the Minutes, 1915 might seem to have been a year of accelerated activity but anyone who knew Captain Albert S. Callan, who was in the president chair, would have expected such a trend. 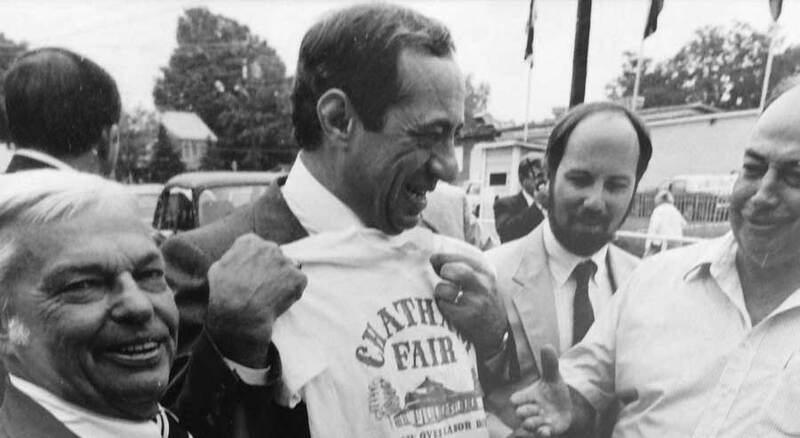 He was a man of great imagination and one enthusiastically dedicated to the growth and prosperity of the Chatham Fair. 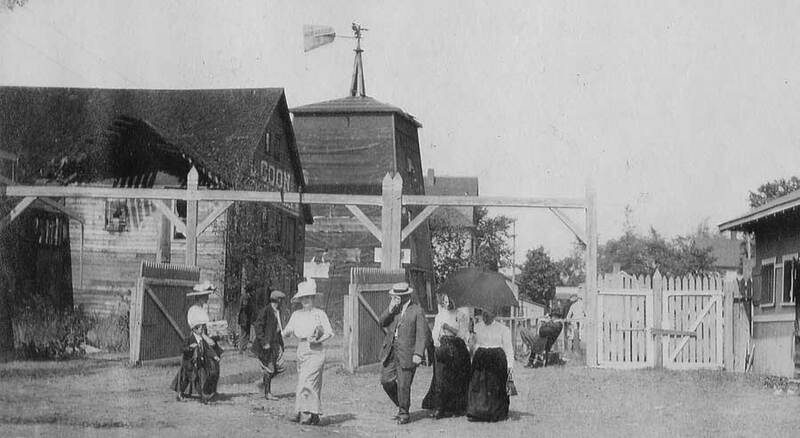 However, neither Captain Callan’s dedication nor his keen imagination could forestall a wind storm that demolished the poultry house and part of the grandstand only a few days before the Fair opened that year. 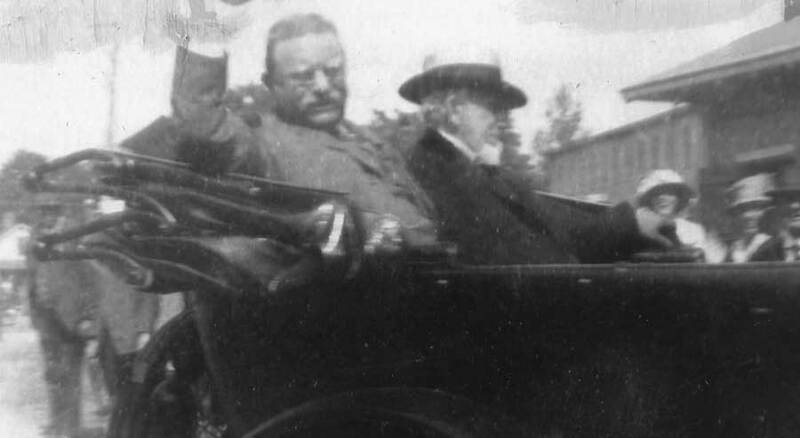 Nor could his extreme loyalty prevent a severe Polio outbreak at Fairtime in 1916, nor an unprecedented heat wave in 1917. The late Govern Nelson A. Rockefeller was the Fair’s distinguished quest and speaker on Labor Day, in 1962. Governor Rockefeller returned to The Columbia County Fair in 1970 this time riding onto the Fairgrounds in full fire manic regalia, aboard Ghent Volunteer Fire Company’s antique pumper. 1966 the Fair’s secretary, J. Vinent Hartigan, was elected president of the New York Association of Agricultural Fairs, and became the second man from Chatham to be so honored, Congressman Lewis K. Rockefeller was the first. Philip D. Mickle, served the state association on 1980 and The Columbia County Fair is being honored to have director Steven Berninger elected to serve in 2012. The new administration Building, which cost the Society $17,000.00 was put into use shortly before Fairtime in 1966. 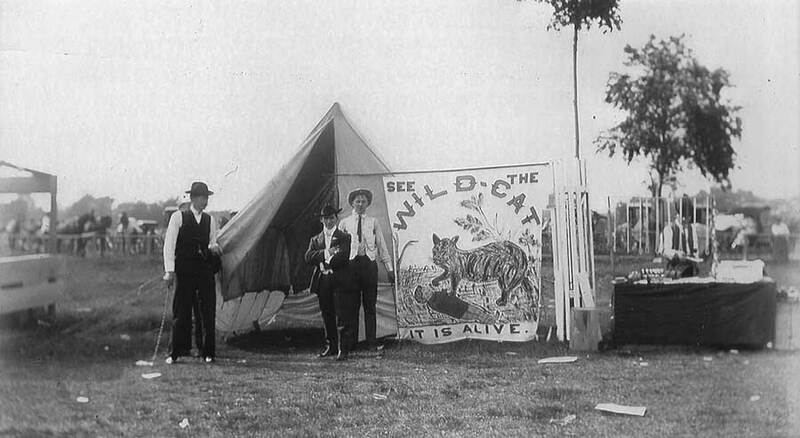 The same year twenty-three acres of vacant land were purchased from Marcus S. Wood of Chatham, at the south end of the Fairgrounds, for $12,000.00. This brought the total acreage to its present 55 and opened the way for a second admission gate for the grounds. Almost in desperation in was decided to open the Fair in 1969 on Thursday afternoon and thereby attempt to cope with the free preview that had taken over Thursday night. Over the preceding years this free Thursday night had developed crowds that halted exhibited setup, clogged authorized traffic and created chaos for the Fair management. 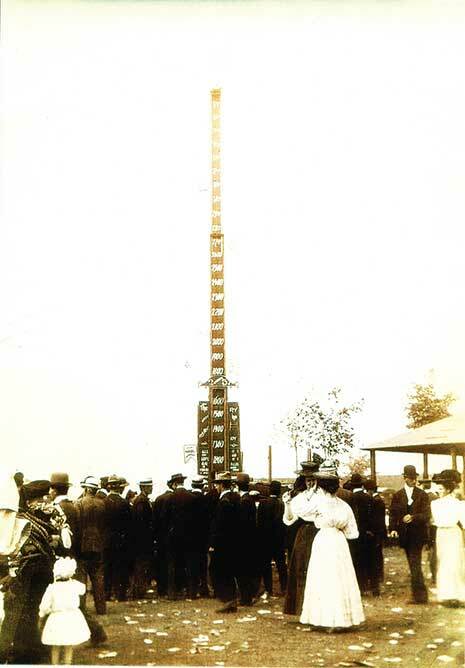 In 1970 a metal structure was erected to be used primarily for food concessions, including the Fair’s main restaurant “The Tower Club”which is presently being run by The Spencertown Church . A contract was awarded in 1978 for the development of a trailer park at the South end of the Fairgrounds. The entire project which created 32 spaces, accommodated with water, electricity and sewage disposal, cost to the Society $32,000, a price that included fencing and roadways. And so, the trials and tribulations, the failures and the successes, and always the forward and upward movement of the Columbia County Fair and Agricultural Society, have been chronicled. Some things may have given been missed, too much consideration may have been given to others, but at least an effort has been made to bring to light the facts that up to now have been locked up in the several musty, dust covered Minutes books carefully stored in the Society’s archives. Mr. Hodge was gifted in that he kept meticulous notes and spent many hours researching the past minutes. We will try to continue his work and to make it known that the fair has continued on and many changes have occurred. 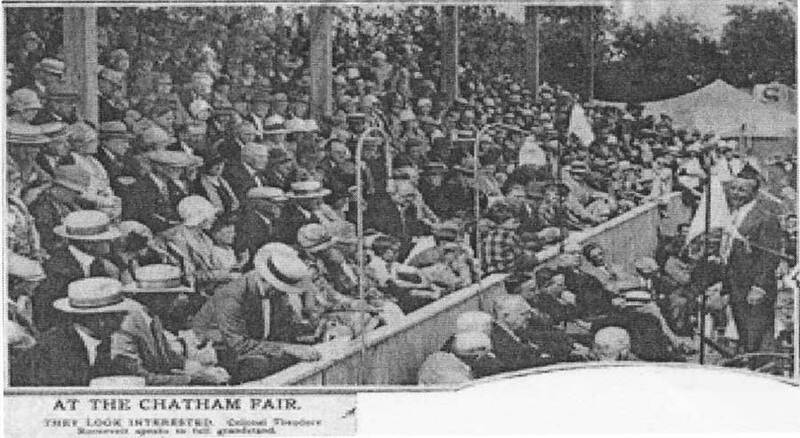 We will be researching the minutes and will soon add the rest of the history of this great fair.